External Dimensions (mm): 897 (h) x 98 (w) x 51 (d). Metal. 25-pocket. 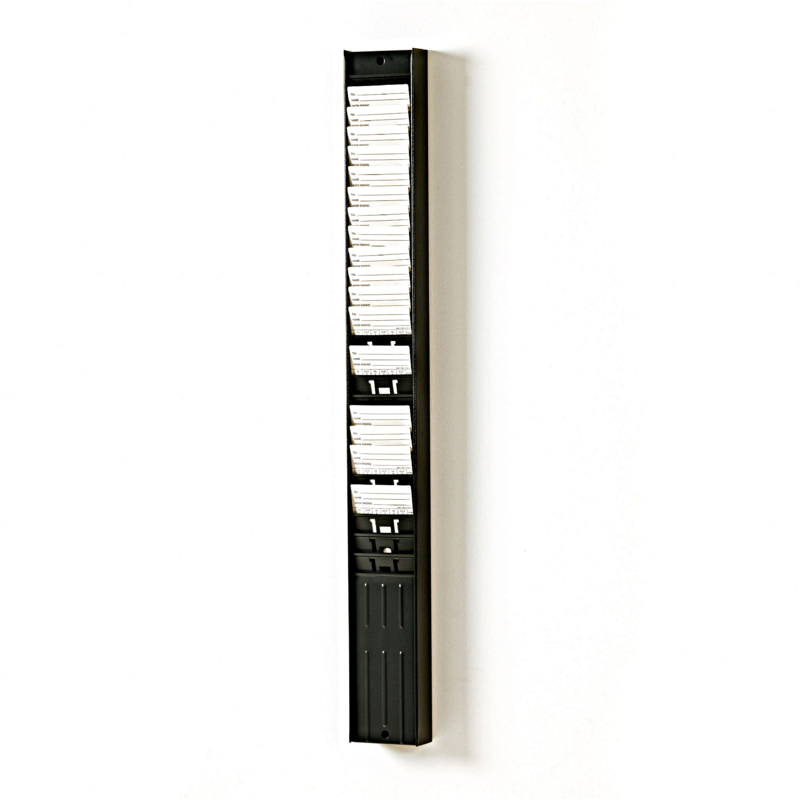 2206/25E: Pocket Dimensions (mm): 88 (w) x 111 (d) - to suit clock cards 140-180 mm long (102115 clock cards). .
2207/25E: Pocket Dimensions (mm): 88 (w) x 150 (d) - to suit clock cards 180-190 mm long (TC-MAX, TC-SEIKO & 106532 clock cards). 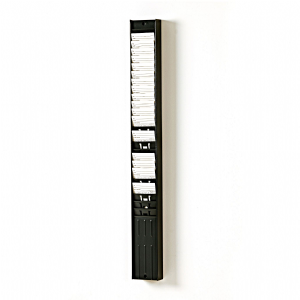 2209/25E: Pocket Dimensions (mm): 88 (w) x 159 (d) to suit clock cards 190-229 mm long.